15 November 2017 – NEW YORK, NY, USA – The International Federation of Interior Architects/Designers (IFI) held its XXVIII (28th) General Assembly in Lagos, Nigeria on the 11th and 12th of November 2017. The meeting was hosted by IFI member, the Interior Design Association of Nigeria (IDAN). IFI’s Executive Board, the members, external stakeholders and community gathered at the General Assembly to review and discuss completed IFI programs and projects and discuss new initiatives for the 2017-2019 term. At the close of the highly successful General Assembly, the Executive Board for the 2017-2019 term was elected. The projects, proposals and programs discussed, support the IFI global community and, as stated in its mission, “To be the voice of design for interiors and promote the contribution of design in society across the globe, by creating a platform for advocacy.” As the sole international federating body in its discipline and the only global voice for Interior Architecture/Design organizations, IFI serves as a worldwide forum for the exchange and development of knowledge and experience in education, research and practice taking globally. IFI connects the international community to further the impact, influence and application of the design of interiors, promote social responsibility, and enhance the status of the profession worldwide. IFI collectively stands for the interiors discipline and profession world-wide. The organization is the voice and representation of more than a quarter of a million designers, educators and industry stakeholders in the international design community on all seven continents. The 2017-2019 Executive Board reflects the international makeup of the organization. 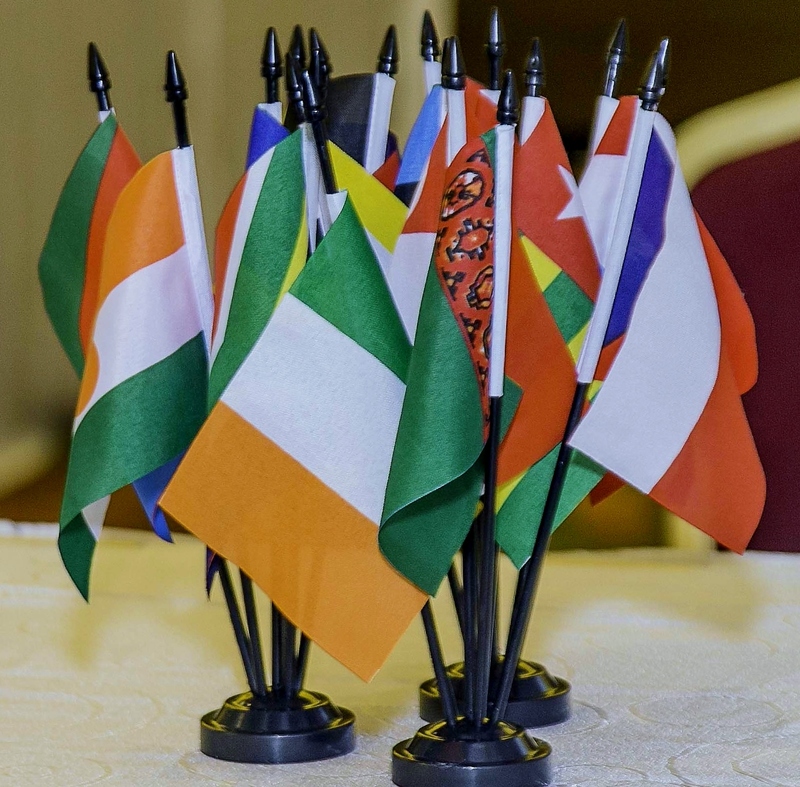 The board members are well-established and widely recognized leaders who are at the forefront of their profession in their respective regions and countries. 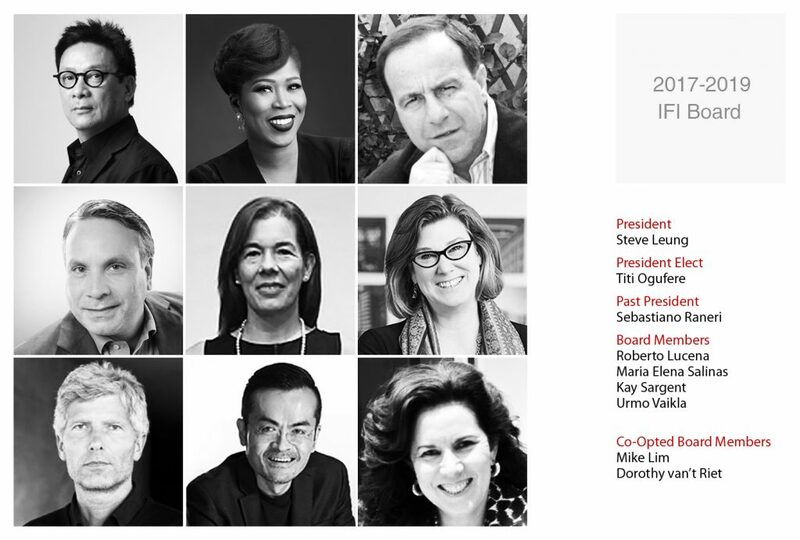 With their expertise and experience IFI will continue to have an ever-larger impact on the Interior Architecture/Design in the global design community and further IFI’s mission. In addition to elected executive board members, the board added two co-opted members, exemplary leaders invited to serve because of their desired expertise and experience. Born in Hong Kong Steve Leung is a leading architect, interior and product designer. Professionally, as a dedicated contemporary-style advocate, his work continues to reflect a strong and unique minimalist character that skillfully integrates modern sensibilities with skillful Asian culture and arts. In 1987, he established his architectural and urban planning consultancy, which was restructured in 1997 into a company named Steve Leung Architects Ltd. and Steve Leung Designers Ltd. He has served the interior design community in a number of important positions. He was the Executive Director of Design Committee at China National Interior Decoration Association (CIDA) and was one of the founders of C Foundation. He has designed and directed numerous well-known projects and his work has been recognized with over 120 design and corporate awards in the Asia Pacific region and worldwide. Titi Ogufere is at the forefront of the profession in Nigeria— and has established several successful businesses including the Essential Interiors Consultancy, Aesthetics Design Studios and Essential Interiors Magazine. She was a co-founder of the Interior Designers Association of Nigeria (IDAN), the leading interior design association in Nigeria that provides excellence and direction to the interior design profession. She also later founded the Interior Design Excellence Award (IDEA)—the first national award to promote Nigerian design and its professionals and strengthen the larger network of the Interiors community in Africa. Prior to his term, 2015-2017, as president of IFI, Sebastiano Renari served as President of Associazione Italiana Progettisti d’Interni (AIPI) from 2008-2014. He has practiced successfully for more than three decades as Founder and Principal of Nuccio Raneri Design Studio. His design work has been widely recognized in the design community and its press for its creative talent and inspirational solutions. In his work related to the interior design discipline, he has worked to develop vocational training and establish standards for professional qualification. He has written and published many articles about the profession in international magazines. Roberto Lucena is Past-President of the Association of Designers-Decorators in Puerto Rico (CODDI) and current board member for the Council of Interdisciplinario de Professional Associations. Professionally his work has involved projects for both governmental agencies and commercial organizations in Puerto Rico with such companies as Coca Cola, or the Psychiatric Hospital for Children in Bayamon, PR. He is widely known and recognized and currently hosts an interior design segment on a television program. Maria Elena Salinas Ledesma is the principal and owner of the architecture and interior design firm, Estudio Salinas, which operates as a design and technical consultant in Uruguay and Panama for Multicontainer. She is currently the Advisory President for the Association of Professional Interior Designers of Uruguay (ADDIP), having served as ADDIP President from 2015-16. She has been a member of the ADDIP Board of Directors since 2005. Kay Sargent is a recognized expert on workplace design and strategy issues with more than three decades of experience involving several Fortune 500 companies. She took a leading role in efforts to optimize their global real estate portfolios and create innovative work environments. In 2017, CoreNet Global named Kay to serve a three-year term on its board of directors. She serves on the board of trustees of the ASID Foundation and on the leadership of IFMA’s Workplace Evolutionaries She has authored numerous articles and lectured widely. CoreNet has honored her twice with its Luminary Award as a top-rated speaker. Urmo Vaikla is a practicing interior architect/designer and founder and partner of Vaikla Studio, a multidisciplinary interior architecture, art and design studio in Tallinn, Estonia. He was President of the Estonian Society of Interior Architects (ESL) from 2013-17, currently serves on the ESL Advisory Board, and is a member of the Estonian Artists Association. From 2006 to 2013 he served as an associate professor in the Department of Interior Architecture at the Estonian Academy of Arts. Mike Lim was invited as a co-opted board member because of his expertise. He is Director of DP Design, an interior design, space planning and project management services firm. His large projects include, among others: The Dubai Mall, (the largest mall in the world), Resorts World Sentosa, Changi Airport Terminal 1 and 2, Paragon Shopping Centre, Noon Square and Abu Dhabi Tower. As a co-opted board member, Dorothy van’t Riet will be able to bring her experience and expertise to the board. She is the creative director and principal interior designer of her company, Dorothy van’t Riet Design Consultants and is also a member of the South African Guild of Interior Designers. As founder of the DVR Design Academy, she has been actively involved with Interior Design education, offering many courses to aspiring interior designers. Well known to the International Interior Architecture/Design and IFI community, Shashi Caan was designated as CEO of IFI at the completion of the XXVIII (28th) IFI General Assembly. Building upon efforts to date, the strength of this incoming Executive Board, and a strong Secretariat leadership, IFI ushers in a new period of professional advancement and growth.